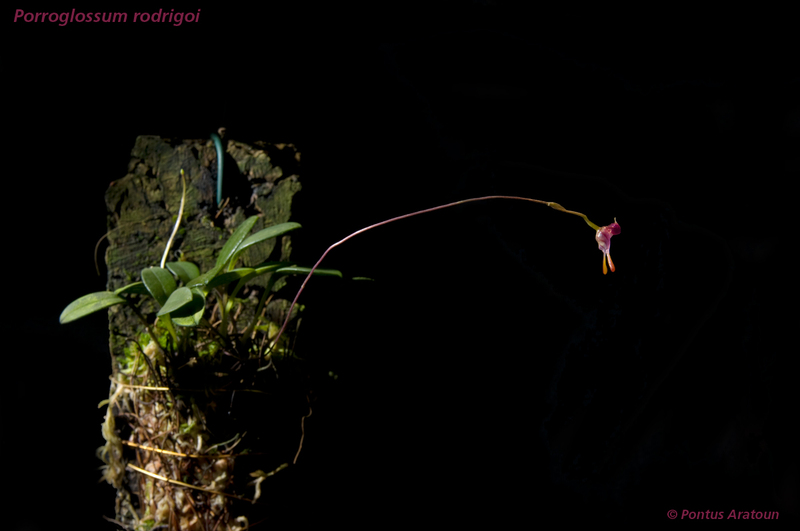 Porroglossum rodrigoi. H.R. Sweet 1974. 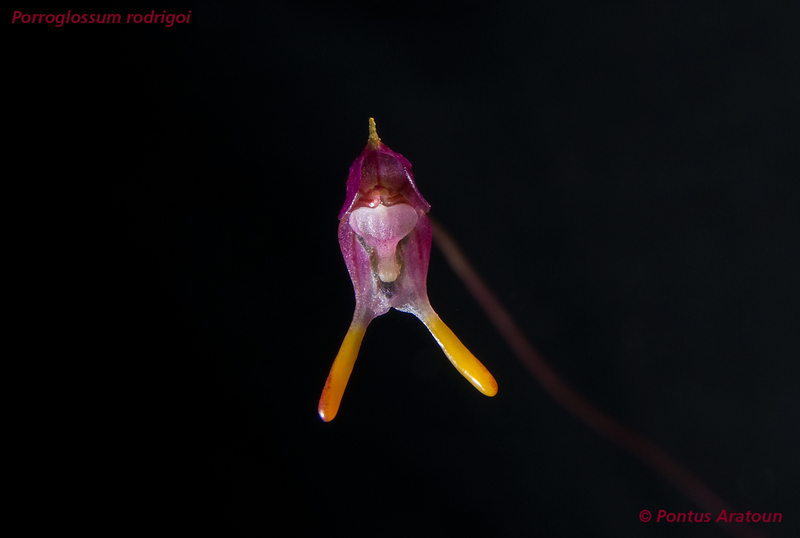 Grows in a small area north of Mendellin, Colombia at an altitude around 1700 meters. I grow this plant mounted. Temperatures: Minimum Temp +10°C to +12°C. Max temp +20°C. Last time it flowered for 6 months. When the flower died a new one grew out. On the photo here the lip is in the UP position. Will try to get a photo of the lip when it´s in the DOWN position.